If you’re anything like me, you struggle with insecurities. If you were an appraiser, you would value your home (Your Spirit) below the actual market price. I have had successful careers, super chic clothes, and yet I would come home and doubt the temple that God had created. I went to church, sang the well-known gospel tracks, and even found time to mentor young girls. I was playing a role but didn’t understand why I was selected for the part. Have you ever felt this way? Always wondering if you’re worth it. Always minimizing your success or thinking that you are inferior to someone else. I finally began to listen to God. I mean really listen. My Spirit had grown tired of pity parties and self ridicule. I wanted to be free to love myself and all the beauty that comes with walking in transparency and authenticity. I knew that this transformation would propel my business to new heights and I would be able to be an even better, bombshell coach to successful women. It was time to unleash my greatness and give other women the permission to do the same. It was time for me to be fabulous and faithful. I’m an overachiever and like many successful Boss ladies, we share this trait like a badge of honor. I know I do! That’s how I landed where I am today in my Success Coaching business; by having faith and doing the work that others were too tired to do. But as an overachiever, often times we can fool, trick, and con the ones around us into thinking that we are operating at our best, just because our average looks above average to many (if you’re reading this, this applies to you). 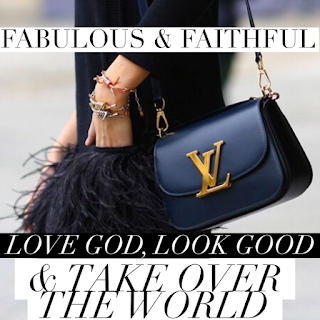 I finally wanted to be fabulous and faithful and own the fact that God made me in His image to use all my talents, gifts, and strengths to the max. Are you working your business to the max? Do you love your family to the max? I had a harsh reality check that I was limiting the potential of my business as a result of being intimidated by my own fabulous ideas. I was resolved to cash in on my Christian benefits and take God at his Word and be the fabulous and faithful woman that he designed me to be. There was this dark and dreadful voice that haunted me. Its luminous shadow would hover me and tell me that my greatness is limited. It would whisper that my greatness would run out and can only travel so far. I realized that due to life experiences that shattered my heart and plagued my soul (you know the break ups, the job you wanted but didn’t receive the call back, or the daddy that was supposed to be around but always found a way to not show up…for ANYTHING.) this voice would occasionally make its way over to my ears. I learned that I don’t have to give those false words ANY power. Now, I want you to realize that you are fabulous and faithful! Strut your confidence in heels, walk in your purpose in with style, and be faithful to God, to hope, and to the process. 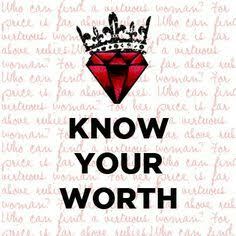 Fabulous and faithful women never settle, but only get better! I’m on a mission now to see, as many women as possible love God, look good, and take over the world! Mekeva Miller, is an entrepreneur, business consultant and philanthropist. If you ask her how she’sable to simultaneously hit the trifecta, she will tell you one thing, she hustles. 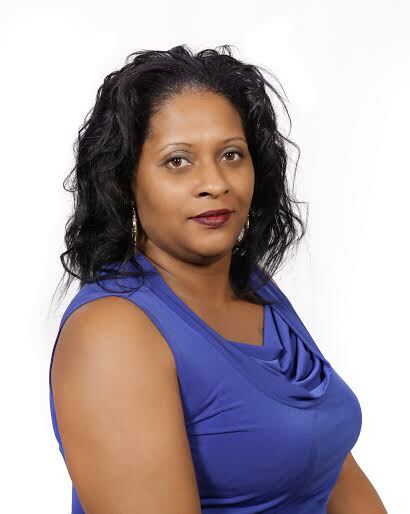 Mekeva founded World Wide Hustle, LLC in 2013. Shortly thereafter, she launched International Boss Lady, a networking platform for women entrepreneurs. Mekeva Miller: In the beginning, I spent a lot of time developing World Wide Hustle’s legal structure, accounting for taxes, and registering for the appropriate permits. As entrepreneurs, we tend to focus on the product or service. However, administrative tasks are equally important. MM: My shopping experiences as a consumer informed and inspired me to offer my own line of products. When I go into a store and can’t find a product that suits me, I immediately begin thinking about how to create a product to fill that void. Further, as someone who values networking and helping others, I created International Boss Lady, which is a networking platform for aspiring women entrepreneurs. MM: It’s a challenge. However, the ability to work from home is a game changer because my family is only seconds away from my home office. Also, as a self-employed business owner, I can plan my workweek accordingly. Last but not least, my family supports me 100%. MM: “Work hard in silence, and let your success be your noise.” I’m not sure who should receive credit for this quote, but, when I first heard it, it really resonated with me. MM: My spouse, Dahloc, has been there for me since the get-go. As an entrepreneur himself (Double A’s Towing), he was able to help me avoid a lot of hard knocks. In addition to Dahloc, I surrounded myself with a number of positive family members and mentors, including: Estell Queen Bass (Mother), Robert “Iceman” Bass (Grandfather), Lynita Mitchell-Blackwell (Mentor), and Joanne Green (Mentor). MM: Wow, I could write a book in response to this question, but, in short, the must-haves are: resiliency, tenacity, strategy, and commitment. MM; A BOSS is someone who, by their own actions, inspires others to reach beyond their perceived limits, create goodwill, and, ultimately, live an enthusiastic life. After you accept your situation, you can see clearly and you know what you’re dealing with, do you ask for help? Are you still playing Superwomen and wearing that outdated cape that no longer fits you? Have you read the self-help books, tried yoga, experimented with meditation, fasted, juiced, detoxed, gone to the retreats, prayed, gone to Oprah live your Best life, but you’re still not where you want to be? Are you finally sick and tired of being sick and tired? Are you ready to give up trying to manage it all yourself? Good! Now you’re ready to receive the help you need to elevate, rise up and take your life to the next level. Every successful person has a success team of people that actively help them create their best life. Do you have one? If not, it’s time for you to ask for help! There is no such thing as an independent woman. An independent woman is a woman in denial. We are interdependent beings created to rely, support and depend on one another. What’s the purpose of accepting your situation and asking for help if you are not ready to take action? The only way to success is to embrace all that you for your greatest life and unleash your legacy on the world. This requires action. Do you know the names Oprah Winfrey, Beyoncé, Condoleezza Rice, Hilary Clinton and Ariana Huffington? Why do you know these women? Because they all took massive action! They have each created amazing legacies. What is your legacy? What do people say about you? Will people remember your name when you are no longer here? If not, you have work to do. It’s time to Rise up and take Action! Take an honest look at your life and ask yourself, what small, consistent, action steps can you take right now to get closer to living your best life? Without action, there is no greatness. Without action, there is no legacy. Without action, there is no success. So what are you going to do? Although I experienced success as a manager, I began to feel antsy about the next phase of my career. Even still, I did above average in my role. Why? Because, my personal integrity was on the line. Eventually, I was made aware of a new position within the brand that would demand more responsibility from me. I was advised to think about if I would be interested, and what I feel would be an appropriate increase in salary. Finally, a silver lining! So, when the opportunity came for me to ‘show what I’m made of’ at an annual meeting, I prepared diligently. I purposefully sat at the head of the conference table surrounded by a Vice President, a Senior Director, our General Manager, three Executive Committee members, a Director, and another Manager. I was ready to present the content with hopes of being “seen” as capable and ready for advancement. And, quite frankly, I did a damn good job. In fact, I knew in my heart I had knocked it out of the park. That knowing was confirmed, receiving immediate praise from the VP and Senior Director, both of whom were visiting from the corporate office. In fact the VP (a key decision maker), began asking me questions related to my willingness to do the new job. To me, this was a great sign! But, no sooner than 5 minutes later our General Manager blurts out “And, she’s cheap too.” Amazingly, I managed to stutter “Well, I don’t know about that…” Leaving that meeting, I was in complete shock. What the heck did that mean? This person did not know me well, and furthermore, the original conversation about my interest and salary requirements had not been revisited. Ironically, that very evening I accepted yet another Marketer of The Year, best in category award for the work I had done. I felt especially proud this year, because I had worked really hard, and felt largely unsupported. But of course, my excitement had been overshadowed because of the humiliation that still resonated with me. I had determined to speak with the GM, but that moment never came because he was “let go” the day I had scheduled to speak with him. Though he was involved in unscrupulous behavior, I know I was redeemed. After all was said and done, I was still not considered for the role. And the truth is, I couldn’t be happier. Leaving the company with a strong personal brand has only prepared me to become an entrepreneur. Going above and beyond was never in vain. 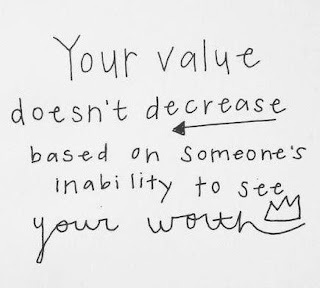 And, my validation no longer is sought out by someone that doesn’t make or break my future. What is your personal brand? Are you seen as a valued member of the team? Do you believe who you are aligns with what people view you as? If not, only you have the power to change it. Did you know there was 86,400 seconds in a day? Sounds like a lot right? 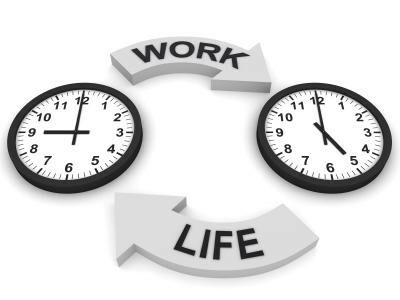 We all get the same amount of time, the difference is just how we choose to spend it. Yes I understand we all have our own set of responsibilities and some of us take this journey solo but keep reading and I guarantee you’ll find an additional 30 minutes in your day to work on your Dream. Often when I ask moms, “What keeps you from living out your passion? The response is, I don’t have enough time. Well let me challenge you to Take Control of Your Time. Being a Bossmom is like having 2 fulltime jobs and that depends on how many brands you’re working on at once. So it’s important to manage every second of your day. You have to manage What you’re spending your time on and who you’re spending your time with. Stephen Covey says Habit #3 of a highly effective person is: To put First Things First = Prioritize. Begin to take inventory of what you’re spending your time on. Just like they tell people that are on the weight loss journey to document everything they’re eating. I challenge you to document everything you’re spending your time on. How much TV do you watch? How much time do you spend on the phone? How do you spend your time in the car? Could you get up 30 minutes earlier? One of the most significant things you can control is who you are associating with—your choices of who you permit into your world, who you give time to or invest time with, and who you look to for ideas, information and education. In order to be successful you must spend time with people that are going to tell you How to make it Possible vs How Impossible it is. People are around you either to support your accomplishments, make them more challenging, or they sabotage it outright. So you have to first eliminate toxic people from your life. Your schedule is already full, you don’t have time for people that devalue your time. As a Bossmom, you are more susceptible to contamination, all your responsibilities and time limitations causes you to fall weak to distractions. There’s always 100 other things that you can do with your time, then we convince ourselves to just enjoy the time we have with the kids. So we put our dreams on hold until the kids get older. No ma’am! Kids adopt attitudes and habits of their moms. We tell them all the time they can be whatever they want to be when they grow up. So show them what that looks like. There have been studies that show working women have higher self-esteem, are stronger emotionally and financially; kids will benefit from having a mother that is more confident, resourceful and appreciates life, all traits that kids will learn to appreciate later in life. So when you get the thought that you don’t have enough time, I challenge you to re-evaluate how and with who you are spending your time and how it really is a benefit to your kids. This isn’t an easy task to master but practice makes perfect and you’ll soon find the time you thought you lost when you became a mom.